The murder of ex-Russian spy Alexander Litvinenko in 2006 in the UK was “probably” approved by President Vladimir Putin, an inquiry has found. 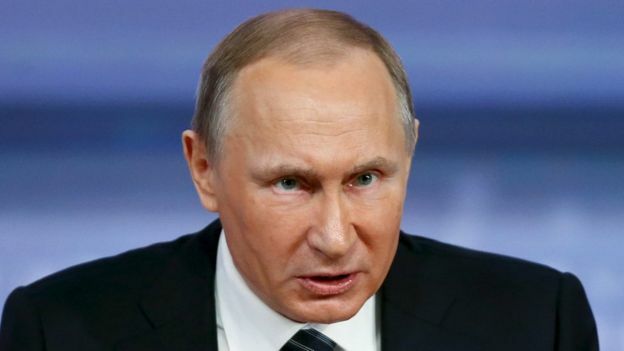 Mr Putin is likely to have signed off the poisoning of Mr Litvinenko with polonium-210 in part due to personal “antagonism” between the pair, it said. Home Secretary Theresa May said the murder was a “blatant and unacceptable” breach of international law. But the Russian Foreign Ministry said the public inquiry was “politicised”. Who are the Litvinenko murder suspects? The long-awaited report into Mr Litvinenko’s death found that two Russian men – Andrei Lugovoi and Dmitry Kovtun – deliberately poisoned the 43-year-old in London in 2006 by putting the radioactive substance polonium-210 into his drink at a hotel. Sir Robert Owen, the public inquiry chairman, said he was “sure” Mr Litvinenko’s murder had been carried out by the two men and that they were probably acting under the direction of Moscow’s FSB intelligence service, and approved by the organisation’s chief, Nikolai Patrushev, as well as the Russian president. He said Mr Litvinenko’s work for British intelligence agencies, his criticism of the FSB and Mr Putin, and his association with other Russian dissidents were possible motives for his killing. There was also “undoubtedly a personal dimension to the antagonism” between Mr Putin and Mr Litvinenko, he said. Polonium is a chemical element with symbol Po and atomic number 84, discovered in 1898 by Marie Curie and Pierre Curie. A rare and highly radioactive element with no stable isotopes, polonium is chemically similar to bismuth and tellurium, and it occurs in uranium ores. Applications of polonium are few. They include heaters in space probes, antistatic devices, and sources of neutrons and alpha particles. Because of its position in the periodic table, polonium is sometimes classified as a metalloid. Other sources say that on the basis of its properties and behavior, it is “unambiguously a metal”. 210Po is an alpha emitter that has a half-life of 138.4 days; it decays directly to its stable daughter isotope, 206Pb. A milligram (5 curies) of 210Po emits about as many alpha particles per second as 5 grams of 226Ra. A few curies (1 curie equals 37 gigabecquerels, 1 Ci = 37 GBq) of 210Po emit a blue glow which is caused by excitation of surrounding air. The chemistry of polonium is similar to that of tellurium and bismuth. Polonium dissolves readily in dilute acids, but is only slightly soluble in alkalis. Polonium solutions are first colored in pink by the Po2+ ions, but then rapidly become yellow because alpha radiation from polonium ionizes the solvent and converts Po2+ into Po4+. This process is accompanied by bubbling and emission of heat and light by glassware due to the absorbed alpha particles; as a result, polonium solutions are volatile and will evaporate within days unless sealed. (PoH2) is a volatile liquid at room temperature prone to dissociation. The two oxides PoO2 and PoO3 are the products of oxidation of polonium. Halides of the structure PoX2, PoX4 and PoX6 are known. They are soluble in the corresponding hydrogen halides, i.e., PoClX in HCl, PoBrX in HBr and PoI4 in HI. Polonium dihalides are formed by direct reaction of the elements or by reduction of PoCl4 with SO2 and with PoBr4 with H2S at room temperature. Tetrahalides can be obtained by reacting polonium dioxide with HCl, HBr or HI. Other polonium compounds include acetate, bromate, carbonate, citrate, chromate, cyanide, formate, hydroxide, nitrate, selenate, monosulfide, sulfate and disulfate. Also tentatively called “radium F“, polonium was discovered by Marie and Pierre Curie in 1898, and was named after Marie Curie’s native land of Poland (Latin: Polonia). Poland at the time was under Russian, German, and Austro-Hungarian partition, and did not exist as an independent country. It was Curie’s hope that naming the element after her native land would publicize its lack of independence. Polonium may be the first element named to highlight a political controversy. In the United States, polonium was produced as part of the Manhattan Project‘s Dayton Project during World War II. It was a critical part of the implosion-type nuclear weapon design used in the Fat Man bomb on Nagasaki in 1945. Polonium and beryllium were the key ingredients of the ‘urchin‘ detonator at the center of the bomb’s spherical plutonium pit. The urchin ignited the nuclear chain reaction at the moment of prompt-criticality to ensure the bomb did not fizzle. Emission intensity vs. photon energy for three polonium isotopes. Emission intensity vs. alpha energy for four isotopes, note that the line width is narrow and the fine details can be seen. The best way to test for (and measure) many alpha emitters is to use alpha-particle spectroscopy. It is common to place a drop of the test solution on a metal disk which is then dried out to give a uniform coating on the disk. This is then used as the test sample. If the thickness of the layer formed on the disk is too thick then the lines of the spectrum are broadened; this is because some of the energy of the alpha particles is lost during their movement through the layer of active material. An alternative method is to use internal liquid scintillation where the sample is mixed with a scintillation cocktail. When the light emitted is then counted, some machines will record the amount of light energy per radioactive decay event. Due to the imperfections of the liquid scintillation method (such as a failure of all the photons to be detected, cloudy or coloured samples can be difficult to count) and the fact that random quenching can reduce the number of photons generated per radioactive decay, it is possible to get a broadening of the alpha spectra obtained through liquid scintillation. It is likely that these liquid scintillation spectra will be subject to a Gaussian broadening rather than the distortion exhibited when the layer of active material on a disk is too thick. Emission intensity vs. alpha energy for four isotopes, note that the line width is wide and some of the fine details can not be seen. This is for liquid scintillation counting where random effects cause a variation in the number of visible photons generated per alpha decay. Polonium is a very rare element in nature because of the short half-life of all its isotopes. 210Po, 214Po, and 218Po appear in the decay chain of 238U; thus polonium can be found in uranium ores at about 0.1 mg per metric ton (1 part in 1010), which is approximately 0.2% of the abundance of radium. The amounts in the Earth’s crust are not harmful. 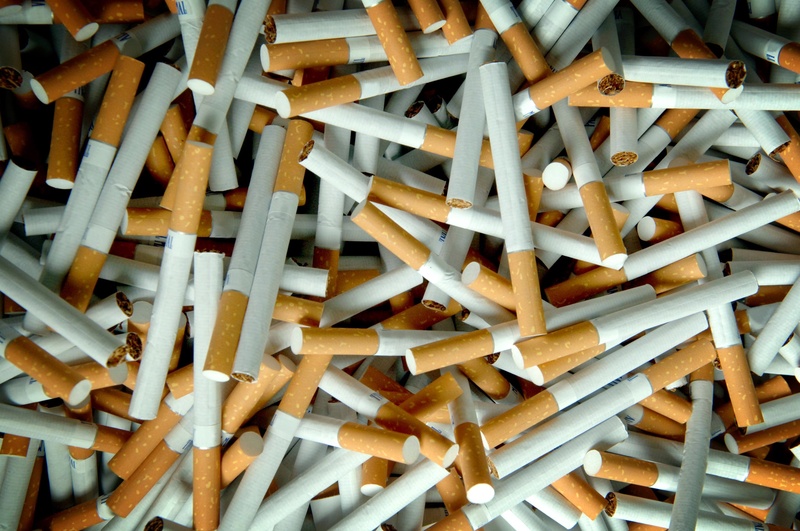 Polonium has been found in tobacco smoke from tobacco leaves grown with phosphate fertilizers. This process can cause problems in lead-bismuth based liquid metal cooled nuclear reactors such as those used in the Soviet Navy‘s K-27. Measures must be taken in these reactors to deal with the unwanted possibility of 210Po being released from the coolant. It has been found that the longer-lived isotopes of polonium can be formed by proton bombardment of bismuth using a cyclotron. Other more neutron-rich isotopes can be formed by the irradiation of platinum with carbon nuclei. Polonium was also part of brushes or more complex tools that eliminate static charges in photographic plates, textile mills, paper rolls, sheet plastics, and on substrates (such as automotive) prior to the application of coatings. Alpha particles emitted by polonium ionize air molecules that neutralize charges on the nearby surfaces. Polonium needs to be replaced in these devices nearly every year because of its short half-life; it is also highly radioactive and therefore has been mostly replaced by less dangerous beta particle sources. Tobacco smoke from cigarettes contains a small amount of polonium isotope 210, which can become deposited inside smokers’ airways and deliver radiation directly to surrounding cells. The lungs of smokers can be exposed to four times more polonium than those of non-smokers and specific parts may get a hundred times more radiation. One study estimated that someone smoking one and half packs a day receives the equivalent amount of radiation as someone having 300 chest X-rays a year. Polonium is highly dangerous and has no biological role. By mass, polonium-210 is around 250,000 times more toxic than hydrogen cyanide (the LD50 for 210Po is less than 1 microgram for an average adult (see below) compared with about 250 milligrams for hydrogen cyanide). The main hazard is its intense radioactivity (as an alpha emitter), which makes it very difficult to handle safely. Even in microgram amounts, handling 210Po is extremely dangerous, requiring specialized equipment (a negative pressure alpha glove box equipped with high performance filters), adequate monitoring, and strict handling procedures to avoid any contamination. Alpha particles emitted by polonium will damage organic tissue easily if polonium is ingested, inhaled, or absorbed, although they do not penetrate the epidermis and hence are not hazardous as long as the alpha particles remain outside the body. Wearing chemically resistant and “intact” gloves is a mandatory precaution to avoid transcutaneous diffusion of polonium directly through the skin. Polonium delivered in concentrated nitric acid can easily diffuse through inadequate gloves (e.g., latex gloves) or the acid may damage the gloves. 210Po is widely used in industry, and readily available with little regulation or restriction. In the US, a tracking system run by the Nuclear Regulatory Commission was implemented in 2007 to register purchases of more than 16 curies (590 GBq) of polonium-210 (enough to make up 5,000 lethal doses). The IAEA “is said to be considering tighter regulations … There is talk that it might tighten the polonium reporting requirement by a factor of 10, to 1.6 curies (59 GBq).” As of 2013, this is still the only alpha emitting byproduct material available, as a NRC Exempt Quantity, which may be held without a radioactive material license. Polonium was administered to humans for experimental purposes from 1943 to 1947; it was injected into four hospitalised patients, and orally given to a fifth. Studies such as this were funded by the Manhattan Project and the AEC, and conducted at the University of Rochester. The objective was to obtain data on human excretion of polonium to correlate with more extensive data from rats. Patients selected as subjects were chosen because experimenters wanted persons who had not been exposed to polonium either through work or accident. All subjects had incurable diseases. Excretion of polonium was followed, and an autopsy was conducted at that time on the deceased patient to determine which organs absorbed the polonium. Patients’ ages ranged from ‘early thirties’ to ‘early forties.’ The experiments were described in a Studies of polonium metabolism in human subjects, Chapter 3 of Biological Studies with Polonium, Radium, and Plutonium, National Nuclear Energy Series, Volume VI-3, McGraw-Hill, New York, 1950. Not specified is the isotope under study, but at the time polonium-210 was the most readily available polonium isotope. The DoE factsheet submitted for this experiment reported no follow up on these subjects. The cause of death in the 2006 murder of Russian dissident Alexander Litvinenko was determined to be 210Po poisoning. According to Prof. Nick Priest of Middlesex University, an environmental toxicologist and radiation expert, speaking on Sky News on December 2, Litvinenko was probably the first person to die of the acute α-radiation effects of 210Po. Abnormally high concentrations of 210Po were detected in July 2012 in clothes and personal belongings of the Palestinian leader Yasser Arafat, a heavy smoker, who died on 11 November 2004 of uncertain causes. The spokesman for the Institut de Radiophysique in Lausanne, Switzerland, where those items were analyzed, stressed that the “clinical symptoms described in Arafat’s medical reports were not consistent with polonium-210 and that conclusions could not be drawn as to whether the Palestinian leader was poisoned or not”, and that “the only way to confirm the findings would be to exhume Arafat’s body to test it for polonium-210.” On 27 November 2012 Arafat’s body was exhumed and samples were taken for separate analysis by experts from France, Switzerland and Russia. On 12 October 2013, The Lancet published the group’s finding that high levels of the element were found in Arafat’s blood, urine, and in saliva stains on his clothes and toothbrush. The French tests later found some polonium but stated it was from “natural environmental origin.” Following later Russian tests, Vladimir Uiba, the head of the Russian Federal Medical and Biological Agency, stated in December 2013 that Arafat died of natural causes, and they had no plans to conduct further tests. 210Po is manufactured in a nuclear reactor by bombarding 209Bi with neutrons. 100 grams are produced each year, almost all in Russia. 210Po is contained in anti-static brushes, which are used in some printing presses. Some anti-static brushes contain up to 500 microcuries (20 MBq) of 210Po as a source of charged particles for neutralizing static electricity. In USA, the devices with no more than 500 µCi (19 MBq) of (sealed) 210Po per unit can be bought in any amount under a “general license”, which means that a buyer need not be registered by any authorities. Tiny amounts of such radioisotopes are sometimes used in the laboratory and for teaching purposes—typically of the order of 4–40 kBq (0.11–1.08 µCi), in the form of sealed sources, with the polonium deposited on a substrate or in a resin or polymer matrix—are often exempt from licensing by the NRC and similar authorities as they are not considered hazardous. Small amounts of 210Po are manufactured for sale to the public in the United States as ‘needle sources’ for laboratory experimentation, and are retailed by scientific supply companies. The polonium is a layer of plating which in turn is plated with a material such as gold, which allows the alpha radiation (used in experiments such as cloud chambers) to pass while preventing the polonium from being released and presenting a toxic hazard. According to United Nuclear, they typically sell between four and eight sources per year. Polonium-210 is widespread in the biosphere, including in human tissues, because of its position in the uranium-238 decay chain. Natural uranium-238 in the Earth’s crust decays through a series of solid radioactive intermediates including radium-226 to the radioactive gas radon-222, some of which, during its 3.8-day half-life, diffuses into the atmosphere. There it decays through several more steps to polonium-210, much of which, during its 138-day half-life, is washed back down to the Earth’s surface, thus entering the biosphere, before finally decaying to stable lead-206. The presence of polonium in tobacco smoke has been known since the early 1960s. Some of the world’s biggest tobacco firms researched ways to remove the substance—to no avail—over a 40-year period. The results were never published.